4 Where Is Your Online Home? 13 Or… DON’T Create a Product! Have you ever wondered why Internet Startups fail so often? You see a blog/business you like the look of and you start following it, then slowly you notice that the activity and posts tail off, then stop and – perhaps some months later – you get broken links from their comments on your blog and when you check it out, whoops, no longer there. Chances are it’s because of one of the reasons below, and underneath the infographic are my own thoughts. Here are some thoughts on the reasons above. We live in an age of instant results – and no more so than on the Internet, where a Google search for information will bring you more “facts” than you could process in a month! So it’s not surprising that people can be duped into thinking that building an online business will be equally as instant. But it’s a lie. The reasons and consequences are set out above. Being aware of the truth should help you realize that you haven’t failed, if you’re not making a decent income within a few months …. you just haven’t got there YET. If 90% quit within the first 4 months, you’re ahead of the pack by just “showing up regularly”. This was a mistake I made in one of my health businesses – if you haven’t already read the story click on the link to learn the risk of relying on someone else. Where Is Your Online Home? Many people imagine they can build a business totally free. This is a myth perpetrated to lull beginners into a false sense of security. Building a business on a free platform you don’t even own (e.g. Facebook, Blogger) is madness. It could be taken away from you at any time. The absolute minimum you need is your own domain. Read here how and why you need to register your own domain. In fact, without wishing to scare you off, I suggest you read my previous post about the costs of running a successful blog. At one level this was covered in the “Expecting Fast Results” section. It’s also about choosing to work on your business when you would prefer to be watching TV. Only YOU can decide how motivated you are. You’ll find plenty of motivational books on Amazon if you need help in setting yourself a meaningful goal. SEO is Search Engine Optimization, and there are different opinions as to how important this is, given that it’s pretty tough to rank a page any more. Many people subscribe to the belief that “Content is King”, and that it’s more important to build the community you engage and interact with by blog commenting, building your “subscriber list” and social networking. However, to dip a toe in the SEO world, on my blog I use the free plugin: WordPress SEO by Yoast. My philosophy now is to do the jobs I enjoy and / or am good at, while out-sourcing the rest (such as graphics) to people who are better at it than I am. Yes, it cost me a few dollars on Fiverr.com, but the stress saved was well worth it – and the result way beyond what I would ever have achieved! Another fault I find hard to overcome is being a perfectionist. Several imperfect actions are probably far better than one that is perfect – if there IS such a thing! I spent several months on a health blog writing what I thought were interesting and well researched articles – but it was like blogging into a vacuum. Then I realized the importance of reaching out to others interested in the topic. There are many ways to do this, such as forums, blogging communities and on social networking sites. 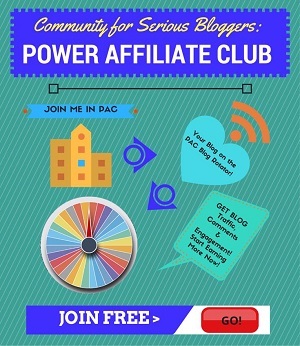 The main way I have chosen to socialize with others in my niche is in the Power Affiliate Club (PAC). The most basic branding is your own domain name (covered above). 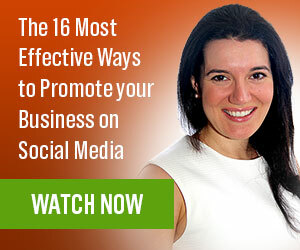 Beyond that you will probably want to establish a consistent presence on Social Networking sites to build yourself a community. I’m working on branding myself as a part-time marketer “Blogging After Dark”, because I’m very busy with my offline businesses during the day. “Life” can so easily get in the way – as it has for me this last month, and a couple of years ago. Family crises will always occur and you will naturally want to put family first. And on a happier note, there will be times when you want a holiday! The simplest way to plan ahead is to have blog posts scheduled ahead of time in WordPress, and broadcasts scheduled to go out from your auto-responder. If you won’t even have access to your emails, most decent email systems will let you send out an explanatory message to say that you’re away and when you’ll be back. Here’s a post I wrote recently about some of the ways I have been able to automate my business on Facebook – what worked and what didn’t. This really is the worst mistake of all – and yes, you guessed, it’s a mistake I originally ma de too. You’ll see I now have several ways that I invite you to opt-in to my subscriber list. 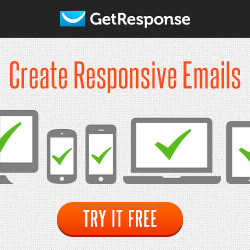 My “list” is stored in software called an auto-responder that automates my communications with my subscribers. 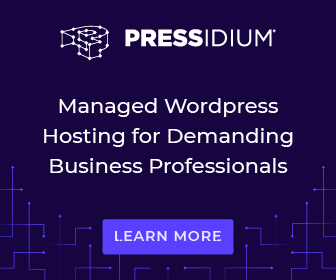 I have to confess I’ve chopped and changed a bit with Auto-responders – trying to save money (blush) – but I always seem to come back to one of the industry standards, because it integrates with all the other services I use in my Internet business. You can take a trial of GetResponse here. Now, GetResponse costs money (shock horror). Sadly many people looking to start out in the “Make Money Online” marketplace have NO startup budget to let them build a list. 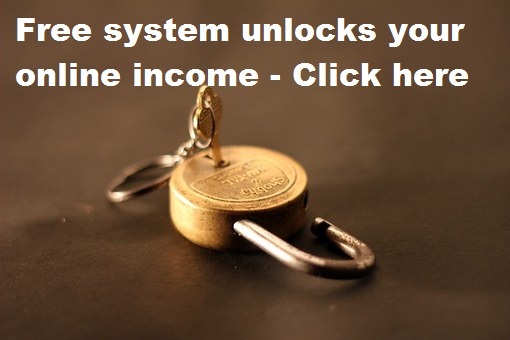 Until very recently (June 2017) I would have said starting a business with no budget was almost impossible – however now they can build a list and get Internet Marketing training completely free, with Padlock Income. Many people say that you should create your own product, to show that you’re an expert. And you can promote it over and over again. Which is great – IF you have the expertise. Sadly for most newcomers, that is a big IF. Although I’ve been online a good few years now, I still haven’t got the skills to produce and support a product of the quality needed to complete in today’s marketplace. 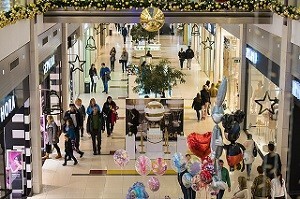 After trying really hard on the product creation front I have taken a different approach and I now promote eCommerce stores, because almost everyone shops online these days, so rather than expecting people to buy products they wouldn’t other-wise buy, I prefer them to Shop, Share and Get Paid. Here’s where I’d LOVE to be able to tell you about this business – but the info is so new and sensitive I’ve signed a Non-Disclosure Agreement! If you’d like to learn more, please contact me on Facebook and ask for an NDA. This isn’t my first venture into eCommerce. I learned so much from the last one – and now the same team is doing it all again, but adding “experience”. Or… DON’T Create a Product! As I explained above, I disagree with the advice on creating a product of your own – at least, when you first start out online. To really spell this out, you may like to watch this quick video showing why I believe Affiliate Marketing is a better approach for someone hoping to make money online, but WITHOUT a lot of pre-existing skills. Having tried the product creation route (and failed) more than once, I firmly believe that Affiliate Marketing is the best way for beginners to start out. Once you’ve cut your teeth on that, the skills you have learned will stand you in good stead for the time when you may want to promote your own product. I believe that many an Internet Startup could have gone on to make a profit if they hadn’t been overwhelmed by all the new skills they had to learn in creating their own product. At the end of the day, every Internet Marketer first and foremost needs ONE skill. Traffic generation. I market a range of products to teach beginners (and not-so-beginners) the skill of driving traffic to an excellent range of products that are ready-made for me. This is a huge saving of time, money, and stress. The training on the red button above will explain in more detail. What is the biggest risk factor for your own business? In my experience, most people I’ve witnessed fail has done so from a lack of planning. Other factors you mentioned fall into this, but the lack of planning is really the root cause. People have an idea of what they want to release/sell/promote etc, but it’s just that – an idea. They get excited at the prospect of their new idea, without taking the time to develop a proper marketing strategy or sales funnel – and even if they have a great product, it doesn’t get the recognition it deserves because it wasn’t marketed properly. Other times, the product had no demand in the first place and the idea they loved so much had no real use for others. If they would’ve analyzed their target audience before creating the product in the first place, they would’ve saved a ton of time. But when you’re excited, it’s hard to slow down and do all of the ‘boring’ research. Thanks for making those excellent points. I have to confess I’ve fallen foul of some of those problems myself. I was led astray by hype of “how easy it is to make money online” – but all too soon I found out it was NOT easy. So, yes I should certainly have done more planning and come up with a strategy – although to be honest I bet I’d never have got started if I’d analyses it properly. My big mistake was in believing it could all be done “free”. If I had invested a little in training and out-sourcing I’m sure I would have made better progress. Yes – let’s hope some aspiring entrepreneurs see it and take heed. Thanx for sharing such type or knowledge with us. I hope u will continue posting such great and valuable articles in this blog 😀 . Thanks for your kind words and I hope you will enjoy more posts from my blog. Very thought provoking post to teach others how to avoid failure while doing any kind of online business. It is very right, many entrepreneurs make haste to earn money and from the day one aim at money and don’t pay attention to market their brand. You well pointed the most essential chores one must do to establish an online business. Thanks for sharing this wonderful post. I also reshared it at Twitter. Yes! Branding is important, as is building relationships. It’s a long-term project not a quick “make money fast” if you want to build a series business. Joy’s baaaack! Hope your folks are well. Really well written and thoughtful post. You made me realize I’ve been doing some acts of kindness that will probably come back to hurt my blog. One of these days, my blog is gonna show search engine robots a buncha broken links because these weak sites are history. Not good. As in niche picking breakdown. Finally, absolutely knocked out by your spectacular use of graphics at the beginning of this post. I’m rarely jealous, but really would like to learn the story behind you using this, I hope, new presentation tactic. Edward P.S. Because this is so long anyway, I’ve been wanting to know how I could get the plug-in you use that provides a check box as comment spammer proof..? Thanks for your warm welcome back – I’m still a bit patchy as I have lots to catch up on but I’m getting there. My folks are tons better than they were although still very frail. Have now got a care package in place. Phew! Regarding the broken links re “dead blogs”, I find that a “must-have” free plugin is “Broken Link checker” by Janis Elsts. It runs through every so often and reports such nasties. Be careful though, because sometimes I get “false positives” when a link is reported as broken, but I check it and find it’s not broken, instead it’s a “Time Out” due to slow loading. When you keep up to date with broken links on a regular basis it’s not hard and a very worth-while exercise. Regarding the “comment spammer” tick box, that’s part of CommentLuv. I can’t remember if it’s an upgraded user feature, although I thought it was part of the free options. Check your setting in the first setting section for GASP – and if they seem OK raise a support ticket with Anby Bailey of CommentLuv, he’s really helpful. I’ll fish out the source of my graphics presentation and add it below as the lady who did it really deserves recognition. I’m afraid the story behind it is sheer lack of time, although taking a more positive approach it’s me finally accepting I need some help out-sourcing because I just can’t do everything myself!! Thanks again for your comment – I absolutely loved your Three Ws – absolutely spot on! I’m afraid I can take no personal credit for them! Amazingly they are PLR bought very affordably from an extremely talented and hard working lady called Bonnie Gean, and here is her company: http://www.plrproductions.com/shop/?ap_id=joyhealey (aff link). She has materials in many different niches, including some blanks that you can add your own text to using a free tool such as picmonkey.com. To me it is the “not taking action” factor which makes it fail a startup business. I my self have started a few websites that failed because of me not taking action for its promotion and seo. I’ll confess I have fallen foul of “not taking action” in the past. It’s so very easy to think that once you’ve gone through the pain of getting your blog set up, that’s the end of it. In fact that’s only the beginning! Happily, we’ve BOTH learned better now. Great post indeed with some great points. Most of the people fail to build and get success in online business because most of the expect fast result. They also didn’t follow the right strategy. I agree with you, people expect results too fast! If they bought a shop on the High Street and it didn’t make a profit in the first few months, they wouldn’t be so quick to quit. The low cost of starting a new online business can be a double edged sword – while it’s easy to start, it’s also easy to quit too soon once the initial euphoria has passed. Great expansion in the infographic points! So many young and new entrepreneurs have wonderful ideas but then fail in planning, strategizing, implementation, and finally analysis. Thanks for your great insight! Did you make this infographic? It’s beautifully designed! You’re right – it’s easy to have the ideas, but the persistence and dedication following them through is not so easy! Glad you like the infographic, oh if only I were so talented 🙂 Amazingly enough I bought it very affordably from a PLR store run by a friend of mine: http://www.plrproductions.com/shop/?ap_id=joyhealey (aff ID). Shes’ extremely talented and hard-working and has a stack of products in many other niches beyond Internet Marketing. Hi, Joy, I fall into the no-planning trap… and sometimes the too-much-planning trap. I think the best advice I could give is to discuss everything, so that you’re always going to hear someone say ‘Whatever happened to that project…’. But with ten things in your infographic you surely know that there’s always several things to do and never enough time. I like your solution of outsourcing through Fiverr, I’ll give that some thought. That’s such a great idea – to tell others of your plans, making yourself accountable to carrying on. Working alone from home I have no business colleagues to discuss things with – but of course I have my blogging friends. I must confess my “real life” friends and family glaze over when I mention my business LOL. Yes, never enough time – my BIG problem. Out-sourcing has helped me with “tangible” type jobs, e.g. some articles, ebook covers and even the infographic in the post was done by someone else, as you’ll read in comments above. However, someone told me a while ago NEVER to outsource to Fiverr jobs such as “Getting traffic”, “Getting Facebook Likes” as they’ll almost certainly be fakes. Hi Joy, very nice and comprehensive infographic. A friend of mine used to run a very informative and extremely helpful blog for online marketers. Then he took leave and went for long holidays and before we knew it, the blog ‘disappeared’. I managed to get in touch with him some time later. He told me because he has offline biz and other biz, he simply couldn’t manage it and hence took it down. I was naturally disappointed but wish him all the best. Hi Sandy, I really sympathize with your friend who finally couldn’t balance his blog and other businesses because that’s the situation I find myself in. However, I have just cut down on the frequency of my posting, so that I can concentrate on building a blog community. Thanks Ed for asking where the infographic came from. I thought it was a great way to introduce the talking points in the post. My failure spot is I can’t focus and stay in track. I just started to put tomorrows important tasks on a white board so I have somewhere to start each day. I’m hoping it will keep me on track. I am here for the long haul as I want to be financially secure in my old age and I also want to work from anywhere. Life has thrown me a lot of lemons in the last 10 years and now I am picking up the pieces, and I don’t plan to fail. Failing isn’t an option at this point. I invested in a coach about 4 months ago so that has been the only way I am at the threshold of starting to create my 1st product. I’ve not had a good few years either, so I can sympathize, and only applaud your decision to start early providing for security in your old age. Although I don’t feel old, I’m old enough that I’ve left my preparations s bit late, but better late then never. So, like you, I’m in it for the long haul too. Good luck with your product, I look forward to hearing more about it. Yes, we’re all in the same boat – we understand, but sometimes fall down at the implementation stage. Sure these were some true reasons behind internet starting failure, but we can not single them out. There are tons of other reasons too. Yes, you’re right. There was a time when I spent ages on keyword research and SEO. But then I realized it wasn’t getting me anywhere, and my time would probably be better spent in adding more content. So now I just write as I feel, with very little thought for the search engines! These ten reasons why internet startups fail are right on target! There is no free ride! It takes money to make money first and foremost. We need to brand ourselves as You.inc because if someone is an affiliate marketer or part of network marketing, that company can crash or maybe that person wants to do another. How ever can one do so with a company name? We have to brand ourselves not only for that purpose but also for people to know/like and trust us. The best idea here is make your own product. It can be as simple as an ebook or a digital information product. It will take a blogger to a new level as the “product creator” and people see you in a different light when you do that! When one realizes that blogging is a business, they will treat it that way. This will help sustain blogging activities, even when you start marketing your own products and/or services which will take a lot of your time. People will always search your blog to see what you are all about. If it is a successful blog with lots of engagement, it will help the buyer see the proof of the pudding that you are serious. Yes, I was a casualty of the “crashing company” – and it left me having to start from scratch and without a list, because I’d carelessly trusted “the company” with it. Oh dear. Back to the drawing board (a few times, if I’m honest). I have previously created a couple of products in the health niche and still get a few sales of those, which are most welcome as I do very little in the way of marketing them any more. However my first Internet Marketing ebook is at the “finishing touches” stage! So fingers crossed for me, and I just hope that what I have been learning to do with this blog will show that I intend to be here a lot longer! A helpful post and lots to think about for many people out there blogging. Me? I’m a terrible procrastinator and I fail to take action when I should. I tell myself there’s other more important things to do when I should be concentrating on something else. I don’t have the easiest blogging timetable with looking after the kids etc but not taking action is something I need to get a grip of. My Hire Me page has been in development now for about a month! I just can’t imagine fitting blogging round kids – although in fairness to myself, I was self-employed all the time the boys were little. But it’s not an easy task. Yes, I do get my priorities wrong…. I mean should I REALLY have been tweaking a widget one pixel at a time for about an hour tonight? Still, I’d only have been sleeping instead, I guess! Good to see you here again, thanks, and have a good weekend. I came here from Adrienne’s new community. Pleasure to be on your site here. Very interesting topic indeed. I think there are many reasons that start-ups fail, but perhaps one of the biggest reasons is not investing time to build their list. Maybe they figure they don’t need it. Maybe they think they can make sales easily and just want to focus on one time customers. But they’re sadly mistaken if they do that or have that type of thinking. Building a list is important and it’s something I’m going to focus on 100% in 2015. Another point you made that I truly agree with is that thye don’t socialize with anyone. No one person can succeed online on their own. You need to build those strong relationships with people. You need to engage with influencers. You need all that stuff. Great post and points here, Joy. Glad to be able to connect with you here. And I hope you have an awesome week. Adrienne’s community is great and I’m sure we’re both going to meet a lot of friends there, to make good relationships and influencers. I’m so grateful for what I have learned from some of the really great bloggers out there! Not building a list was my biggest failure – and can you believe I did it twice!! I guess the second time I just thought – I’ll do it when I get a few more customers, and just kept putting it off! Thanks for highlighting importance of Dedication, SEO, Correct Action, Socialization, Correct Branding, Plan Ahead. I personally think by following all above point one can not only stand up in internet world but can also successful in non-internet startup. I would like to hear many more such wonderful post from you. Thanks for making the point that these qualities aren’t JUST for online businesses, but you can apply them to offline business too. Glad to see you on my comment and I hope you’ll find other topics of interest too. So of course I can only share my own personal experience and since I’m still here I guess that they were all just learning experiences. I think my main focus first coming online was that I needed to support myself. Reading all the hoopla around the web I did believe that this was all easy because boy were they presenting it to be that way. Not that I’m lazy by any means, I’m always eager to jump in and learn but I struggled with that for years. Once I finally understood what bull people were feeding us it was the right action steps to take to get the results. Now I would hang in with them but later learn they weren’t complete so there I was wasting all my time. Talk about frustrating. Another thing you probably don’t know about me is that this course I just released (finally have my own product) is my third. I was SO proud of my first one and I actually charge over $100 for it and I sold four. But I didn’t know what I was doing, I didn’t know how to market, I hadn’t branded myself yet, that was probably back in 2008. I did create that one myself though so I was very proud. The second was was a PLR course but it was really good and I made sales my first month and for the next 8 months straight I made them. Not much money of course for the course itself so we’re not talking a lot. I just learned through that process that it wasn’t what I wanted to be doing but I did learn what I did want to do. Anyway, those are my own experiences but it does take money, time, commitment, dedication and hard work. Trust me though when I say it’s well worth everything you put into it. Great share and glad your folks are much better. They remain in my prayers and I wish you all the best. You know I really like what you said about “still here, so they were learning experiences”. What a great – and TRUE – way to look at all the mistakes I made. I survived them and am still standing. And you’ve obviously learned from your previous product launches – so it’s great that they’ve all improved on the previous one. Back on my “learning experiences” – I certainly I was far too trusting when I read some of the rubbish that I believed about the wonderful one-click traffic. I just couldn’t believe those nice people could ALL be fibbers. Yes, it’s taking time, but I am starting to see rewards. And remember – you’re supposed to me relaxing this weekend after your big laucnh! We all make mistakes my dear and we’ll continue to make them as time goes by. We haven’t given up though and we know this is where we belong so I think that says a LOT about us. Not sure how much I’ve improved from my past launches because I really never did one. I just had the product and started somewhat promoting it but at least this time I had an audience first. That really helped. Oh good, I love hearing that and there will be more to come Joy. I was far too trusting too. I always had been told that if enough people are talking about it then it has to be true. So I believed all these people who were feeding me this bull. I seriously thought they had my best interests at heart. Silly me! Silly us right? I’m going to relax some, actually I really need to clean the house so not sure how much relaxing I’ll be doing! LOL!!! Thanks Joy and have a good weekend yourself. “Meeting” other genuine bloggers online, at various stages of our careers, has really helped me to accept that other people didn’t start with a perfect “traffic-sucking, cash-generating” blog from day one, so it’s OK for me to make mistakes – as long as I learn from them, ask for help, and pick myself up again. These hypey videos online implied that every beginner online (except ME) was making thousands a month following the system. And yes – they do sound as if they have our best interests at heart. There was one golden boy in particular and I was gutted when he suddenly became unavailable after pocketing my money. He seemed such a nice lad. Oh dear! Hope you’re getting some relaxing in alongside house-cleaning. You’ve worked hard enough this week! Loved the infographic, have pinned it. I think the only reason I haven’t “failed” despite not being anywhere near where I should be is downright stubbornness. I do need to get my own products, I do need to mail my list more and I do need to be more consistent with the action I take and focus on my goals. One of the reasons I still struggle with admitting I am an internet marketer is the bull and crap that’s so prevalent. I don’t want to be associated with that. This isn’t easy, there’s no quick fix, it does take work and ultimately there are no shortcuts. From experience with the small businesses I work with (I know not directly internet start-ups but they are businesses making a step online) is the expectation that people just turn up or that they can get away with just posting on Facebook. I do wish that was the case! On a side note – glad to read in the comments that your Mum and Dad are doing ok! Sheer stubbornness is something I can SO relate to. My family look at me in total amazement! They humour me when I report my small (to them) successes, and I’m just waiting for the day when all those successes – which ARE coming more and more often these days – add up to something that will really make them sit up and look. Even someone who really should know better said to me the other day “Why bother with a business website when you can get a free PROFILE at Facebook”. I will sob quietly into a glass of red wine late on a Saturday evening! Nice to meet you via Adrienne’s group/course. Some great points you made here. The one that resonated with me the most is you have to spend some money to make money. This is one of the hardest to learn, especially when you are just starting out and not really making anything. You hold back until you are, but it is a catch 22. And many people never leave the vicious circle and fail. Especially good that you found me via Adrienne. It just shows that what she shares on her course is working. I took a long time to accept that it was necessary to spend some money to make any. A bit silly of me really, otherwise you’d find all the local shops pitching tents in the High street instead of buying shops. Of course I was duped by the “make money free” brigade. So, yes – once I broke out of the catch-22 and actually invested some money in my business, things started to change. Will look forward to seeing you again. Thank you for sharing your “mistakes” to help us to learn from them! I really enjoyed what you had to say, and I’m a fan of the infographic as well! I think one of the biggest challenges I’ve seen people face is the lack of money…they get together a small amount of start up cash and think they won’t have to continually invest. It is sad to see someone fail because they are putting their money to the wrong use and just run out of cash or give up because they don’t see results. That is why I endorse the value of Systems Management! I also appreciated that you brought up life challenges and the problems caused by not taking action or planning ahead…this is so easy to do! I’m trying to take one day at a time but I’m so excited by all of the people I’m meeting, I just want to spend all my free time reading blogs (of course that isn’t realistic but one can dream!) I am a big believer in scheduling posts, but also a fan of mixing it up and posting important news or interesting graphics I find on the fly…it helps me to respond quicker at those times I’m online. I have to say that I love all of your internal and external links as well as your mentions of other products and companies that have helped you succeed…it sure makes it easier for those of us doing most of it ourselves. I am vaguely familiar with Yoast, but definitely interested in reading up on it more now! Thanks again for sharing, this was a font of useful information…keep up the great work! I do feel that at least if sharing my mistakes can help someone else avoid them, then something good has come of the experience. You’re right about the shortage of money. What is very worrying is the number of people who thing they can start an online business for NO money at all. It’s not their fault, because there is so much misleading hype out there. I suppose technically it could just be feasible, but would need HOURS of work doing…. I’m not actually sure what, if complete zero cash available! Like you I use scheduled posts. Sometimes I write a post ahead of time when I know I’m going to busy and then schedule it so I have peace of mind that it’s done. I also create draft posts that are just ideas I can flesh out later if I’m short of something to say. Hope you find Yoast interesting. Some amazing plugins etc! I’m here via Adrienne’s new course and blogging community! As someone who is just starting out online, this is a very pertinent post – I shall have to print it out and remind myself! One of the things I have been struggling with is to take imperfect action. I just want everything to be right before I hit publish. I’m learning to go with the flow now and learn from mistakes as I move along, else I’d still be waiting for the perfect post. I’m off to read some more of your articles – looking like you have some great content here. Ah – another “perfectionist – like me! I really do struggle with that. But, I do so hate to see posts on other people’s blogs with spelling mistakes and bad grammar, so I would hate for them to be that way on my own blog. It sort of “hurts” – and I can’t move on until I’ve fixed any problems I see. 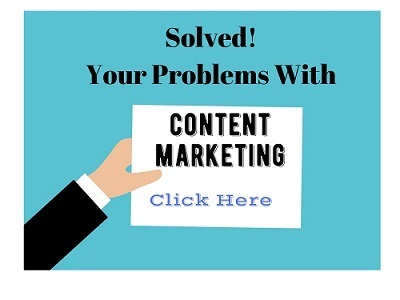 I think in the long run it will pay off, because I know some posts I see on blogs I visit are so badly written that it just detracts from the content – and if it’s bad enough, I just move on! Will look forward to keeping in touch on future posts. What an excellent post Joy! And I love your infographic BTW! Where do you get it? critically points/reasons you named could just as easily be a blog post and or series, in and of itself! group of unfocused, non dedicated wannabees will have throw in the towel! Thanks Joy for providing a proven blueprint for avoiding that all too common fate! Glad you like it. In fact – you reminded me – I DID intend to do a series, with one post about each point. Perhaps I will! It’s encouraging to think that by just hanging on in there, we have a better chance of succeeding. She does PLR articles as well as really handy graphics that you can use as skeletons to personalize with your own message. Completely agree with the reasons you have given in the above infographics. These are the most common reasons by which most of the startups failed. I would also like to add one more reason in this list i.e. Not Having Unique Idea. I personally believe that if your startup idea is very much unique then there would be more chances of getting successful. Most of the people just copy others ideas and start their own startup on the same idea that others started – which is not good. We shouldn’t start our own startup if we don’t have a unique idea which can make a big change. Glad you like the post and the infographic. That’s a very important idea you’ve added to the list and I couldn’t argue with it at all. Sadly, true though it might be, if everyone DID wait to find their own unique idea, I think there would hardly be anyone our there promoting anything (which might make for a better online world, although tending to reduce competition). Perhaps the best thing we can do is chunk down our idea to a VERY much smaller audience. i.e. not “weight loss” but (something like) “weight loss for 25-30 year olds working in high pressure jobs in the city, who have to eat on the move or in restaurants with clients”. Ideally something noweher near as broad as weight loss, even. You get the idea. Of course, that’s a lesson hard-won after years of experience, and still a work-in-progress for me! Startups are getting very much popular among the youngsters. Everybody wants to start their own startup business but most of them never thought that what mistakes they are making or going to make. I appreciate you that you have listed most common startup mistakes which startup founders are making nowadays. And these mistakes are the main cause of getting failures. People should understand that If they really want to bring a change then they must have to get prepare for it and should only start their startup when they are completely ready for it. People start too early when even they aren’t ready for it and get failed. It is the most common startup mistake which people making and I would like to Thank you for covering such a nice article. After reading your article, most of the people will learn from these mistakes. I agree with you that people often start too soon. I must confess I did too, but it was really from complete ignorance of how difficult it would be to start an online business. if I were to start over again I would most certainly take some proper coaching that I could do at my own pace. There are many training programs you can follow for a very reasonable monthly cost. Such a great infographic! I think some fail for (1) lack of planning, (2) lack of commitment to putting in time and effort and (3) lack of know how. It’s easy to create a website for a business but implementing and generating income is a different story. They’re all very valid reasons for failure, or – I suppose – slow starts. Because, as long as someone keeps going, they haven’t actually failed! At any point that can do some planning and put in more time and effort. I certainly struggled with lack of know-how. I thought “it” would be easy (because I had years of self-employed computing background). If anyone is starting up as a raw online newbie, I would really recommend they get their blog / site set up for them professionally and just learn how to make their own posts. Technical issues wasted me far too much time – and ultimately money.